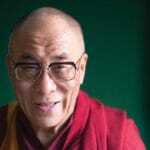 Streaming video of His Holiness’s talks are online! (Artist) Hashimoto Gaho; Japan; ca. 1885; Ink and tint on paper; H x W (overall): 220.8 x 65.2 cm (86 15/16 x 25 11/16 in); Gift of Charles Lang Freer. Image courtesy of the Freer Sackler Gallery. 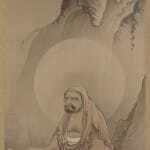 If you want to understand the full truth of “form is emptiness; emptiness is form,” says Robert Aitken Roshi, you must go beyond the Heart Sutra to philosophical texts like the Huayan Sutra, which unpack and elaborate this profound paradox.